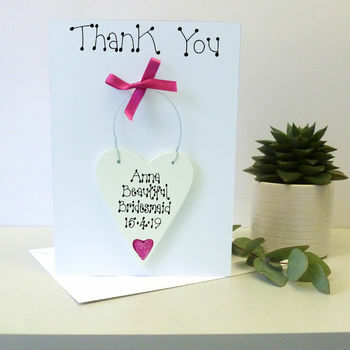 A delightful personalised card with a wooden detachable keepsake to remember the day and treasure forever. The perfect 'Thank You' for your Bridesmaid, Matron of Honour or Flower Girl. 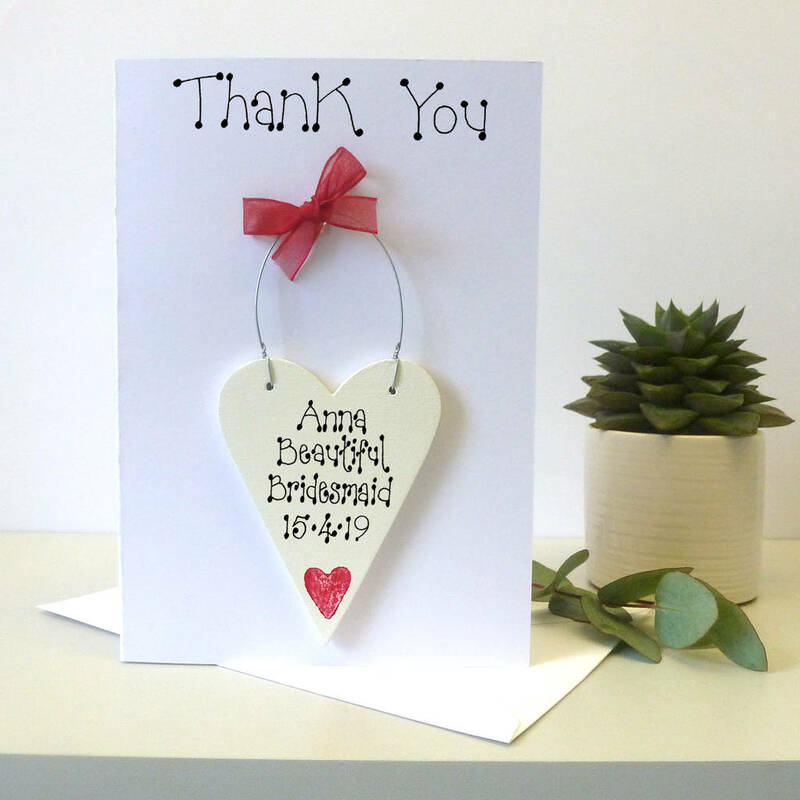 The card bears a wooden detachable keepsake heart to keep as a reminder of your special day. 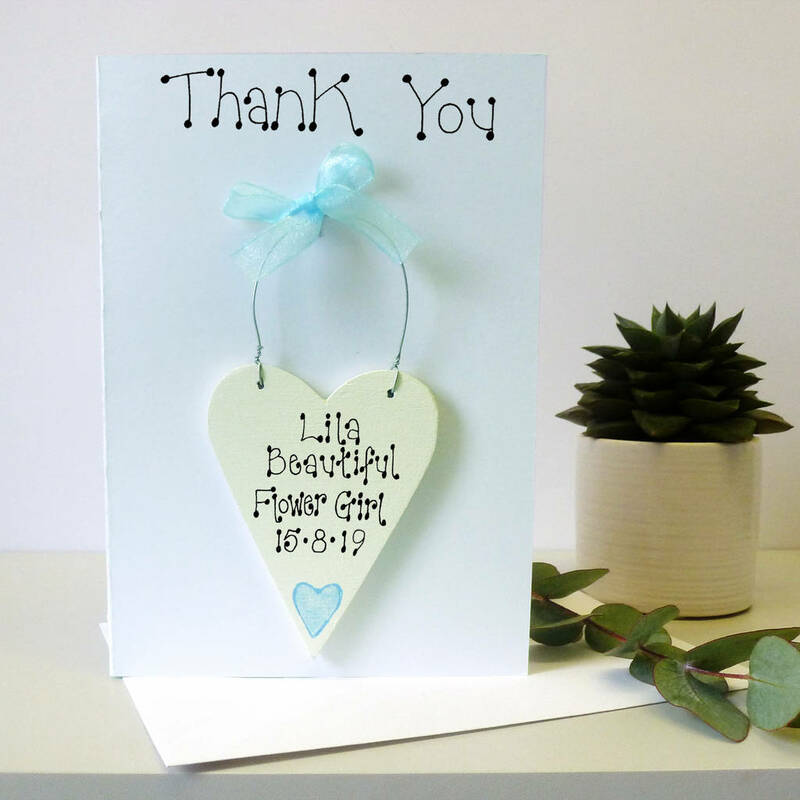 Our cards are white and blank inside for your own special message. 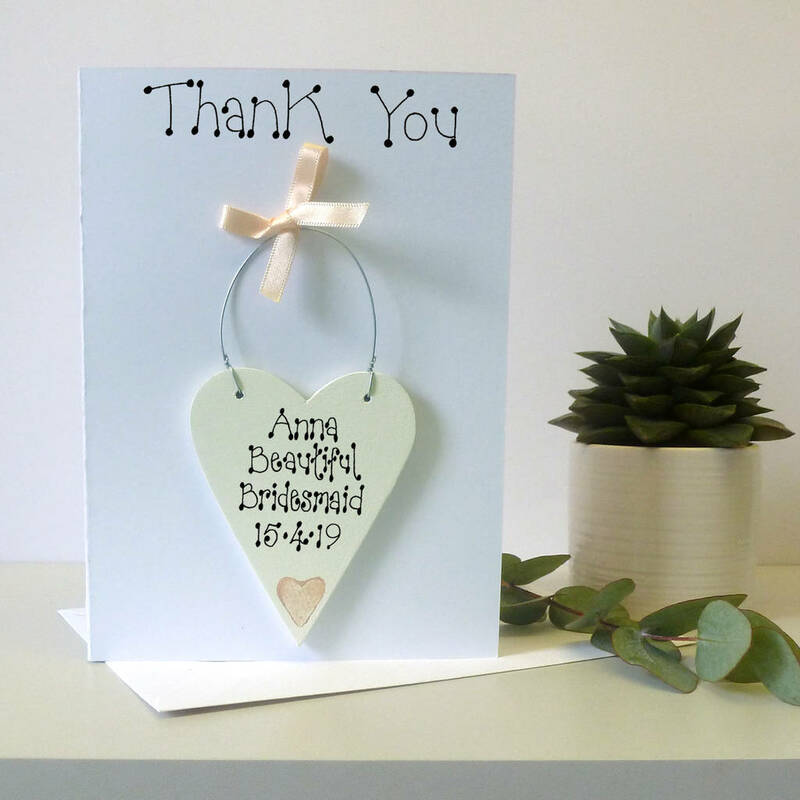 Our keepsakes are hand cut and painted in eco-friendly paints and decorated and inscribed by hand. 'Thank You' will be PRINTED at the top of the card. 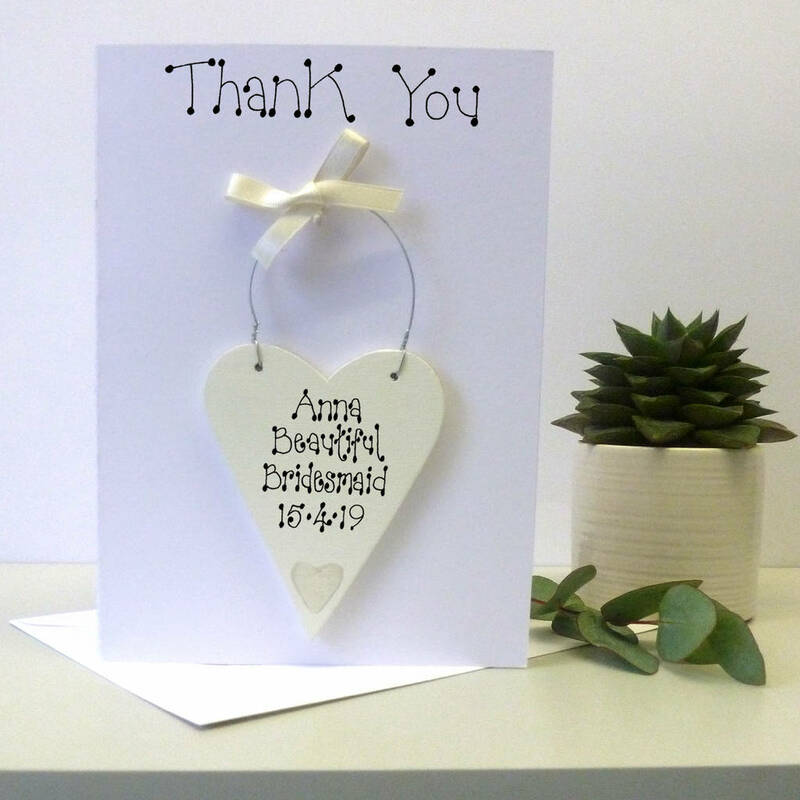 You enter a message of up to 6 words that will be inscribed on the detachable wooden heart. You can select a colour from the drop down bar or we can match the colour to your wedding. Please contact us for details. Such orders may take a little longer. Our cards are matt white 300gm card and our envelopes are 100gm white laid paper and UK sourced. The heart is made from sustainably sourced birch wood and painted with eco friendly paint. The wire for the hangers is made in the UK.